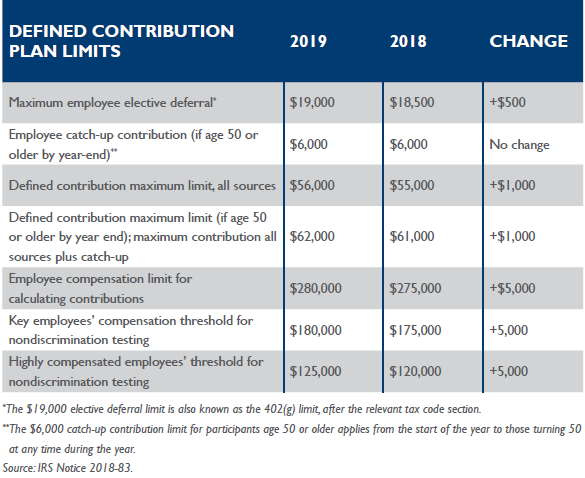 The IRS announced on November 1, 2018, the employee 401(k) contribution limit for 2019 will top off at $19,000 - a $500 increase from 2018. The agency also announced the “all sources” maximum contribution (employer and employee combined) will increase from $55,000 to $56,000. For participants ages 50 and over, the “catch-up” contribution limit will remain at $6,000. Participants who contribute to the limit in 2019 will now be able to receive up to $37,000 from match and profit-sharing contributions. If not already completed, HR professionals need to adjust their systems for 2019 and inform employees about the new limits in open enrollment materials. 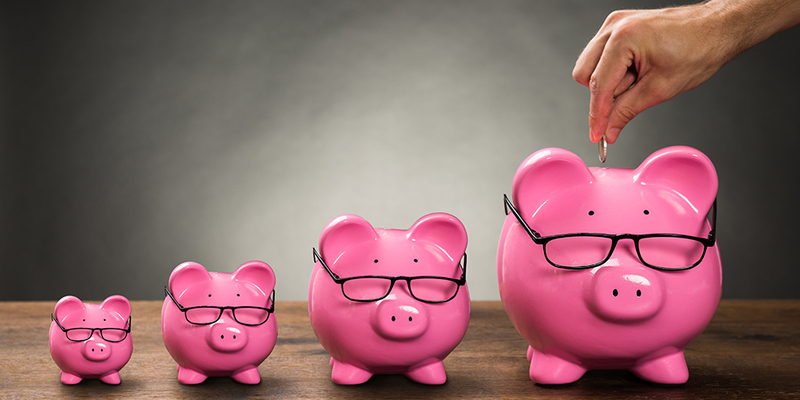 Many plan sponsors may need to provide addendums to benefits materials that have already been printed, as the IRS announced the 2019 contribution changes so close to the beginning of the most recent open enrollment period.